Want to look younger, feel better, and live longer? Consider going on a fast. 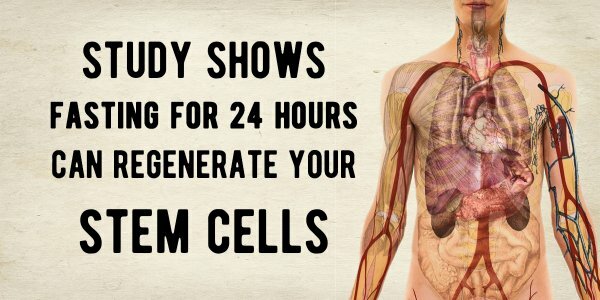 According to a new study, reported in Cell Stem Cell, fasting for a 24-hour period may regenerate stem cells in the gut. As a result, age-related loss of functionality may be reversed. For the study, researchers looked at both young and old mice and the effect fasting for 24-hours had on their intestinal stem cells. They were surprised to learn that after just a single day of fasting, the cells’ behavior changed. They stopped burning carbohydrates and instead, began to burn fat. As the cells relied on fatty acids, their functionality improved. Why does fasting enhance longevity? It’s all about transcription factors, proteins that help convert DNA to RNA. When the mice fasted for one day, transcription factors called PPARs turned on, activating the metabolization of fatty acids. When PPARs are switched off, the cells can no longer boost regeneration. This is not the first study to support the notion that fasting aids healing. And because the phenomena is still not understood, it will not be the last. The team is now interested in determining whether or not cells in other parts of the body have the same capability. Perhaps in the future, medical interventions will include a combination of fasting and drug therapy.
? Childish Gambino Sends A Powerful Political Message About Police Brutality In America Is Air Pollution Making You Sick? 4 Questions Answered ?